Modern businesses have begun to rely on virtualized environments a lot more these days. A main reason is virtualization allows them to provide a consistent experience across different devices to users around the world. 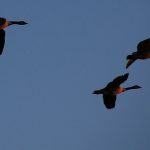 A virtualized environment has the potential to become a powerful tool in business -- but the migration needs to be done properly or the results could be disappointing. When the migration of virtual desktop infrastructure (VDI) takes place within an organization, users will either love it or hate it depending upon the success or failure of the process. Here we will not only discuss the factors that contribute to a smooth VDI migration, but also the potential problems you should avoid at all costs. Assessments help an organization gauge user consumption patterns on a specific physical device, whether it’s a desktop computer, smartphone, or other mobile device. Some of the common metrics to look for include the way the operating system interacts with components such as applications, CPU, IOPS, memory, device hardware, and network resources. Once this data gets collected across a long period, the positives and negatives of user consumption are revealed. Just like Riley was revealed to be a traitor in “Fast & Furious 6,” much to the dismay of Hobbs and morality! Applying the data to different mathematical formulas enables you to understand not just the software inventory and growth rates, but also get a perspective on the requirements of user groups from the viewpoint of a hypervisor. It also allows you to figure out the kind of hardware that needs a disproportionate quantity of resources. Assessments play an essential role in architecting the kind of environments that are required for five-year survivals. You end up with wasted resources if too much hardware is built; on the other hand, not enough resources for software means the user experience takes a hit. 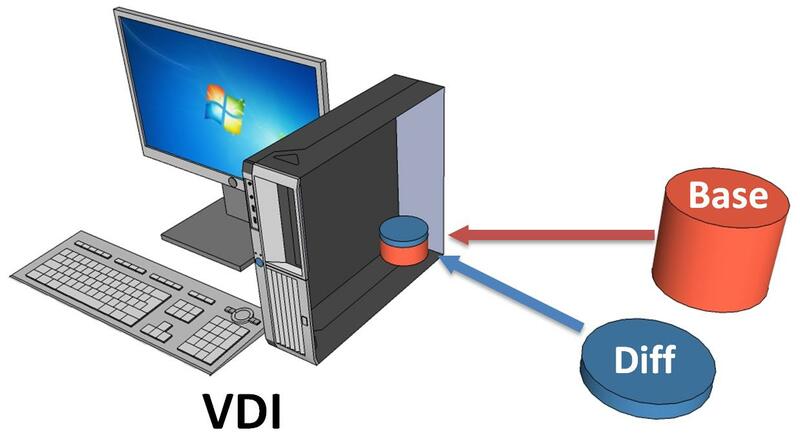 Worst case scenario, the VDI project falls apart. Proper assessments help you figure out your requirements, such as poor hardware identification, consolidation of software, and optimization of virtual images. VDI is an entirely new breed of computing environment, and it gives a huge boost to user experience, especially in the field of image optimization. Linux and Windows operating systems have a lot of components like BranchCache, Bluetooth support, Internet Connection Sharing, and Family Safety that are redundant in the case of VDI deployment. The settings for these need to be disabled. Hundreds of services and settings need to be removed from the OS after VDI migration, as these negatively impact the usage of CPU, IOPS, and RAM by the system even when there’s nobody logged in. This might not seem like much, but it makes all the difference between housing around 50 users in a single hypervisor instead of 80. The virtual desktop infrastructure presents several hurdles to software vendors seeking to promote their products within a constantly evolving digital landscape. This means applications with coding meant for physical machines will oftentimes not perform adequately when they are migrated to a VDI environment. Common causes for such problems are myriad, ranging from coding application problems, improper coding, and incompatibility with numerous CPUs. The best way to deal with these issues is to download updated versions of the common applications. You can even discuss your requirements with application vendors as many of them now possess virtualization-optimized apps. While considering the right sort of software for the VDI environment, you should take the security software into account. Antivirus software tends to go haywire (like Chris Manawa did in “Fear the Walking Dead”!) 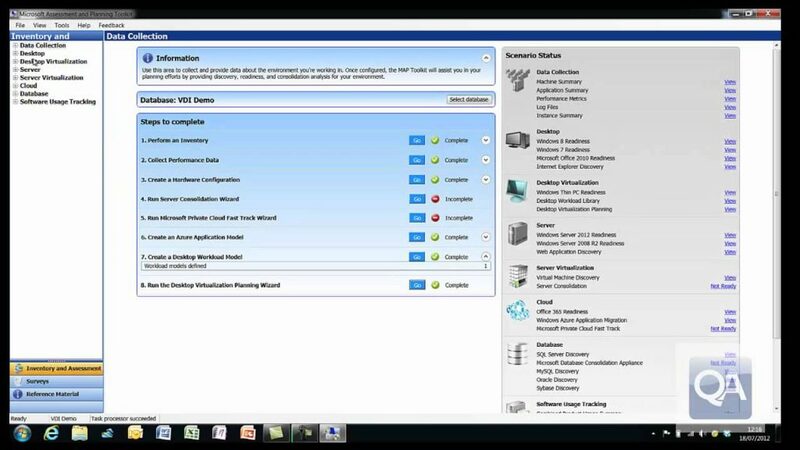 when the version meant for physical desktops is utilized for VDI systems. Therefore, you should instead flip the switch for security apps that consider the virtual desktop infrastructure’s economies of scale. Many antivirus engines perform at the hypervisor level, thereby removing most of the duplicate work. Moreover, if the layer on top of the guest OS has an antivirus feature in place, you have the benefit of a safer environment. 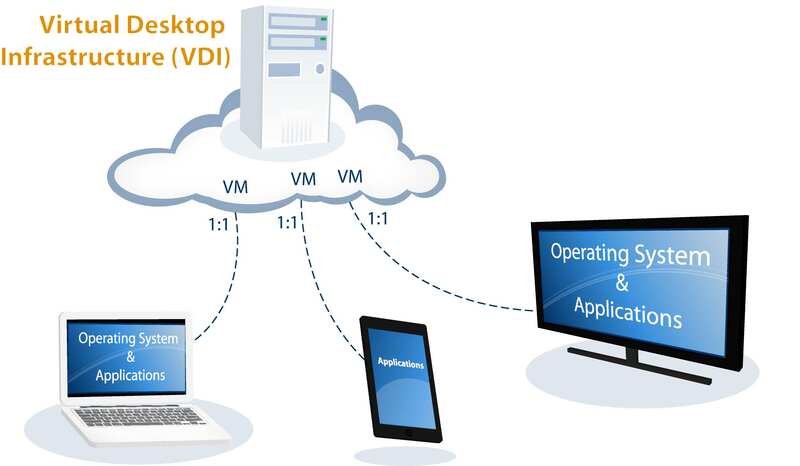 If VDI architecture is properly migrated, it means you’re well equipped to handle the long-term maintenance of virtual desktop infrastructure. Still, upon reaching maturity, the project might seem like it can take on 100 or so extra users without any prior assessment or planning. This is a complete no-no as it can actually kill your environment. 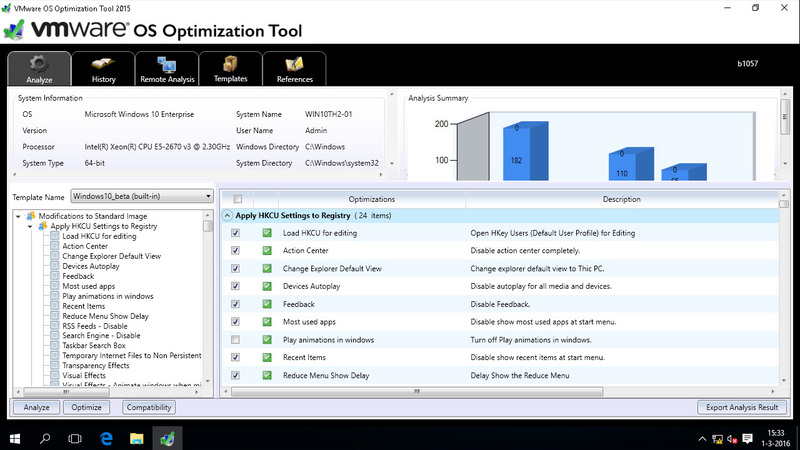 Most VDI resources are designed to handle long-term and short-term usage. The addition of more than 100 new users might seem negligible in a 1,000-user environment. Unfortunately, what works well in the short term can easily lead to VDI failure over time. Over the long term, the initial VDI design actually has more resources than it can account for. The majority of system resources tend to rise by 5 percent each year, such as IOPS consumption, CPU consumption, and memory. More developed applications mean image and software updates take up more system resources. It might not be problematic to add some more users to the system at the moment, but the situation might take a turn for the worse a couple of years down the line. Virtual machine-related resources often cause issues with VDI user experience. Sometimes, users are not given the correct amount of memory or CPU cores to conduct their work. A lot of clients have also begun to employ VDI systems consisting of a single virtual core. This economy is false as a VDI system burdens the CPU core with a lot more load than its physical counterparts. In a physical machine, hundreds of individual systems work together to form a cohesive computing environment. For virtualization, the CPU needs to virtualize all these discrete circuits. Compacting all this into one core can either lead to disaster or success. It’s not a bad idea to add cores, especially if you wish for hypervisor CPU operations between the 60 percent and 80 percent range. This value, when surpassed by the hypervisor’s CPU and attending to guest VMs, means you’re fully utilizing a highly expensive hypervisor CPU. Non-persistent virtual desktop infrastructure is a more stable version with increased security. This means the machines wipe away details not shared by a profile solution once the users log off. Thus, any information that isn’t stored in the profile solution gets wiped away. This decreases the chances of viruses, adware, ransomware, malware, and spyware on the system. It also drastically reduces the number of hypervisors in the environment, since you only need the same amount of running machines. This significantly affects the storage space needed by VDI, since linked clones read from one master image. Non-persistent VDI may be updated during the installation of base image software updates, system updates, and antivirus updates. In spite of the benefits, companies struggle to deploy non-persistent VDI owing to the level of work that has to be performed when it comes to deploying apps over the systems. Barring these types of problems, this is an ideal solution for your business. The trend of virtual desktop infrastructure migration is sweeping organizations around the world. Proper migration can yield tangible results for your business, which is why you need to know how to deal with any pitfalls heading your way.